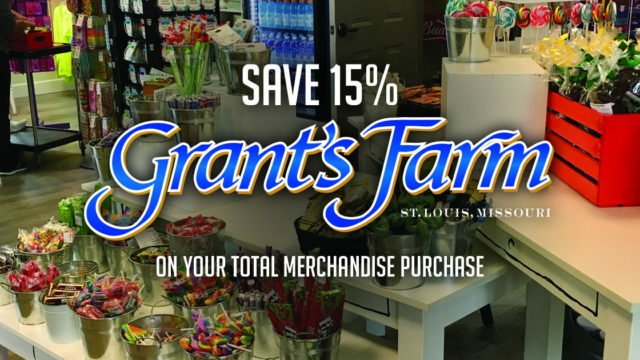 Receive 15% off your total merchandise purchase at the Grant’ Farm gift shop. Offer good one time only and may not be used with any other discount. Valid for 2019 operating season. Grant’s Farm is the 281-acre ancestral home of the Busch family, located of the city of St. Louis. The Farm is home to more than 900 animals representing more than 100 species from six continents. 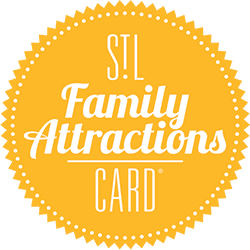 Grant’s Farm, operated by Anheuser-Busch, Inc., has been a St. Louis tradition for more than five decades. Storybook Sweets offers everything to satisfy your sweet tooth from custom filled candy cups to specialty chocolates. The General’s Store is where you will find a mix of plush animals, GF memorabilia, and Anheuser-Busch apparel to commemorate your visit. And finally, Clydesdale Corner is our gift shop where you will find all things Clydesdales.